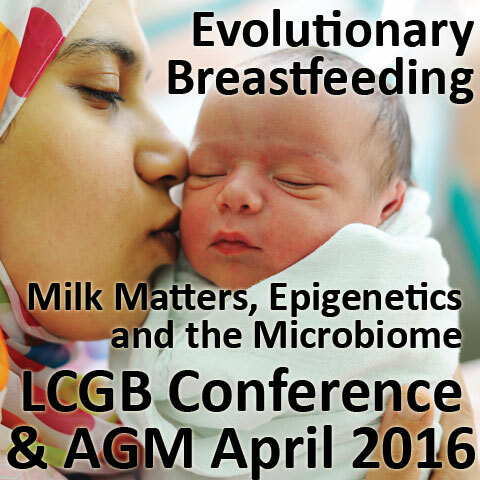 This year LCGB is hoping to have 3 days of talks and continued education in breastfeeding. Speakers at the two day conference will include Maureen Minchin, Laurel Wilson and Toni Harman, and there will also be talks from some UK IBCLCs, as well as the AGM. As an optional extra, you can add Friday evening dinner to your booking to extend your opportunity to network and exchange ideas. 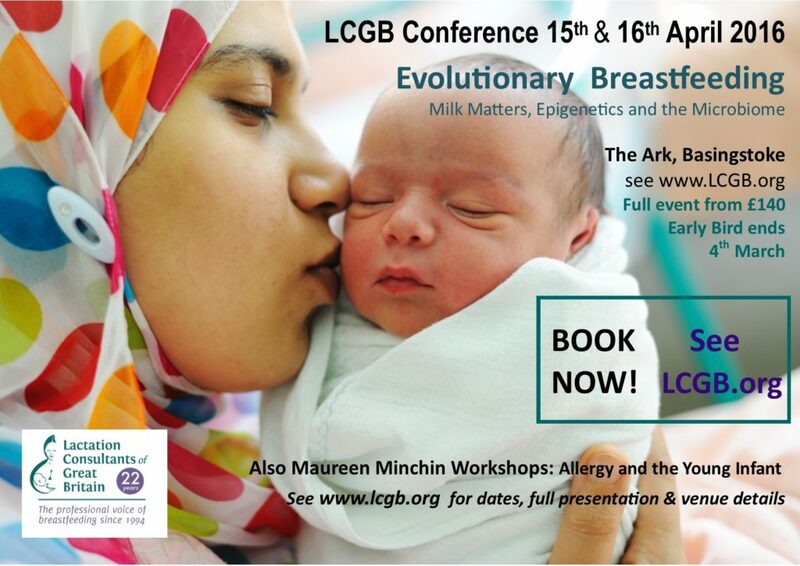 Maureen Minchin will also be running exclusive workshops ‘Allergy and the Young Infant’ for LCGB. Places will be limited dates and venues for this very special LCGB workshop around the country to be announced soon. 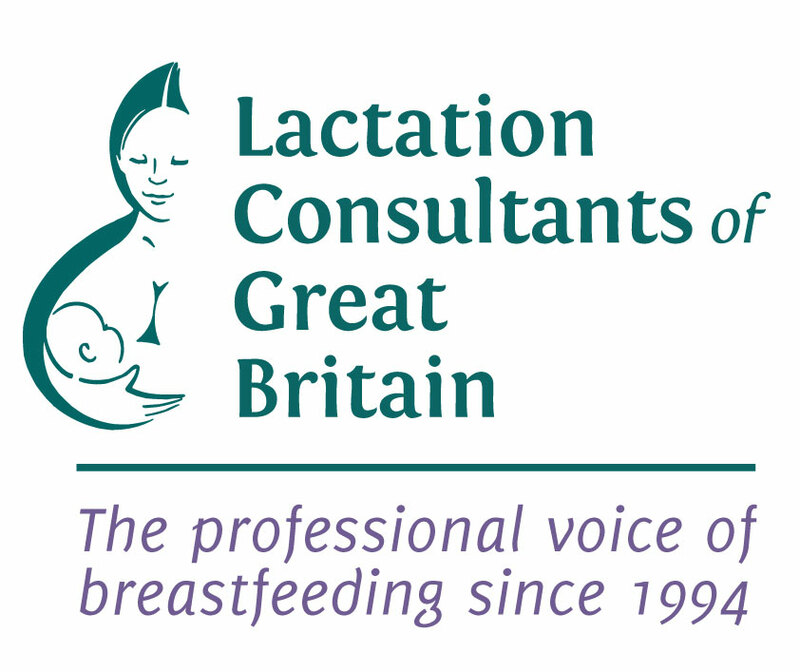 Join us for this breastfeeding extravaganza in Basingstoke! Full prices and booking on Eventbrite site. Laurel Wilson – Bonding: Embracing prenatal attachment, breastfeeding & long term health. Substitutions will be accepted at any time. If you let us know in advance we can change the name badge etc. Cancellations will only be considered if requested in writing and recieved by March 4th. An administration fee of £20 will be charged. Please note the WHO Code of Marketing Breastmilk Substitutes, Global Strategy, WHA Resolutions prohibit individuals employed by infant feeding manufactures from providing any breastfeeding education to mothers. LCGB events may not be used to support such work. If you are interested in having a stall at this event please contact events@lcgb.org. All refreshments and lunch provided on days booked. This includes vegetarian options. An evening meal is available as an optional extra Friday evening. The venue has air conditioning. You might wish to wear layers.